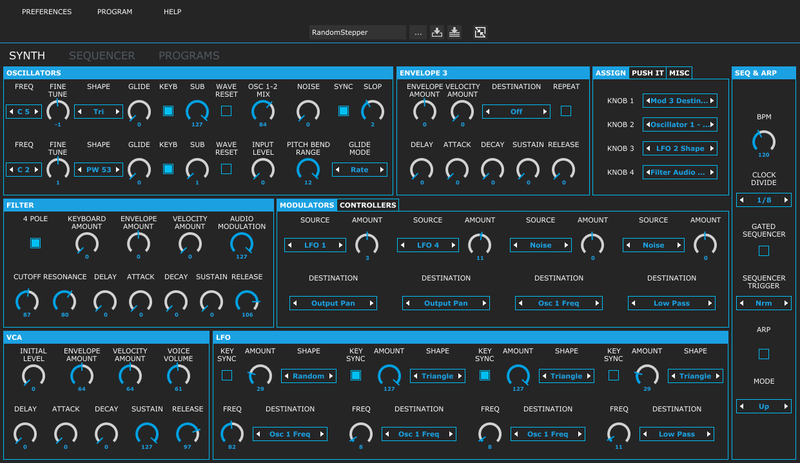 I released Mopho Desktop VST/AU editor. Now you can store your patches within DAW project, automate synthesizer parameters and much more! - Fast program recall. You can easy bind 5 programs to buttons on toolbar and load them in editor by one click.